Happy 2017! I wanted to feature some things I'm crazy about right now. Just for fun. So I'm kicking off this year featuring this fantastic gift I received which as the coffee lover that I am.. Well, it has been life changing! A good friend came to my place for a New Year's Eve gathering and brought his Moka Pot along, and made an Illy Espresso. It was delicious! Then I was surprised with my own Moka Pot gift. Best Gift Ever! Those who know me know I go to Starbucks just about every day.. double espresso on ice.. 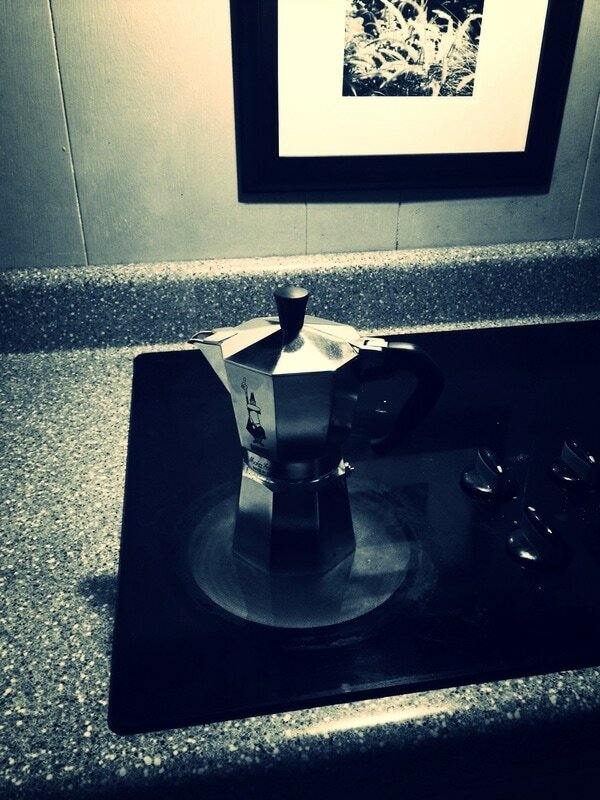 But this Bialetti Moka Pot - It makes absolutely the best cup of espresso without the expensive espresso machine. I am hooked! I go to Starbucks maybe once or twice a week tops now. I also discovered that my old french press makes the most fantastic foam. So.. perfect cappucino's and lattes. Happy girl. :) Here's a link to one at Amazon. Let me know if you try it! New Year.. New Song Release! Available at iTunes, Amazon, and other online retailers. This is my new single release. An indie folk vibe.. I'm excited to start the year with new music and more to come this year.